MODERN ADDRESS Located in Newport Township. DISTRICT BOUNDARIES Original district consisted of the northern half of Newport: a strip of land three miles long and a mile and a half wide along the Mississippi River. A new school was built in 1890. 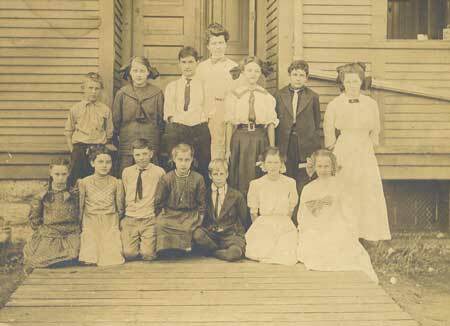 In 1898, enrollment at the school was 170 students. The building constructed in 1890 had 9 rooms and cost $23,000 to build. MEMORIES: “The population had increased so fast in the south end of the district that another schoolhouse was needed; but owing to the rivalry exisiting between the old town and the new, the school board saw the necessity of building two schoolhouses, instead of one.” –Stillwater Gazette, Dec. 1898.